Chinese Premier Li Keqiang on Thursday stressed the importance of cooperation in the face of world economic headwinds, at the opening ceremony of the Boao Forum for Asia, which is running through Friday in China's Hainan Province. Media representatives from 20 Asian countries shared their perspectives on the media's role in global governance and Asian media's cooperation in the Omnimedia era during one of the roundtable discussions at the Boao Forum for Asia Annual Conference 2019 now underway in Boao, south China's Hainan Province. The future of fintech will see continued “evolutions rather than revolutions”, with authorities likely to continue a cat-and-mouse game when it comes to regulating the rapidly expanding sector, the dean of Oxford University's Saïd Business School Peter Tufano told CGTN on Thursday. This year's annual conference of the Boao Forum for Asia (BFA) was hosted in Boao, a coastal town in China's southern island province of Hainan from March 26 to 29 following the theme of Shared Future, Concerted Action, Common Development. Retired basketball icon Stephon Marbury took part in a panel discussion at the annual Boao Forum for Asia in south China's Hainan Province on Thursday. This year is the fourth time that the organizers have hosted a sports sub-forum aimed at examining the industry's development. Heavyweights from universities in the East and West addressed common missions and challenges for global higher education and shared experiences in making their colleges prestigious and even world-class on the sidelines of the just-concluded Boao Forum for Asia (BFA) annual conference in Boao in the southern Chinese province of Hainan. China's business schools may have performed strongly in MBA rankings published last year, but that does not necessarily mean they are outperforming Western institutions in terms of research or student satisfaction, Dean of Saïd Business School at Oxford University Peter Tufano told CGTN on Thursday. ‍A panel discussion titled 5G: Bring Things to Life with the IoT was held during this year's Boao Forum for Asia to a full house in Boao, south China's Hainan Province on Thursday. Five Questions for the Future – have you given your answers yet? Although the U.S. did not cease efforts to reform the WTO, its policy focuses on establishing a new global trade system outside the WTO that is in line with its interests. Will driverless cars hit the streets in 2019? Will China levy a real estate tax by the end of 2019? It is not difficult to see that China is going to introduce a real estate tax in 2019. However, even if the tax is deliberated and passed by NPC, it does not mean that it will be levied immediately across the country. Will China roll out nationwide property tax in 2019? ‍China's real estate market seems to have cooled down after years of boom, with growth of housing prices dipping to its lowest in nearly a year in the first two months of 2019, according to official data. Will China roll out its 5G technology for commercial use in 2019? If the data transmission speed of the 4G network is 10 times faster than the 3G network, then 5G is far beyond that. Doing Pilates, drinking hand-brewed coffee and sharing their travels on social media… This is the typical lifestyle of the new rising middle class in China's major cities. Reshaping China's Economy: Is China sinking in debt? 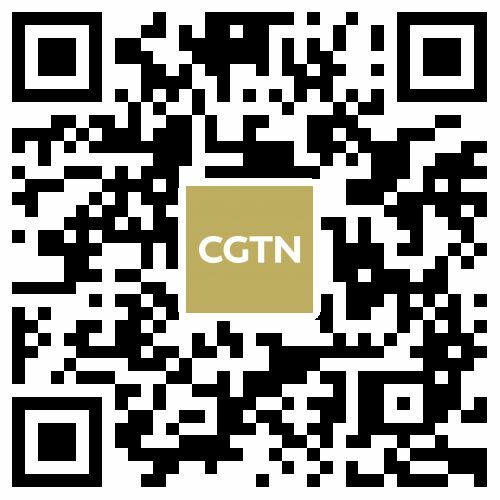 Editor's note: In the previous episode of the CGTN special series, Reshaping China's Economy, the issues of rising labor cost and economic transformation were discussed. Today, our reporter Ge Yunfei went to the northern industrial city of Tianjin, to see how the mounting debt had changed China. In the previous episode of the CGTN special series, Reshaping China's Economy, the issues of rising labor costs and economic transformation were discussed. Today, our reporter Ge Yunfei went to the industrial city of Tianjin, to see how mounting debt has changed China. Though China's economic slowdown is part of a natural cycle, that doesn't mean it's completely risk-free. Without the hard-working migrant workers in the manufacturing and construction sectors, the phenomenal success of China wouldn't have been possible. However, how can the country handle the rising labor cost? Reshaping China's economy: Does China's economic slowdown matter? At 6.6 percent GDP growth, the world's once fastest growing economy witnessed its slowest annual pace since 1990 in 2018. Reshaping China's Economy: Does China's slowdown matter? 6.6 percent growth of gross domestic product – the world's once fastest-ever growing economy has reached its lowest point since 1980. But part of it can be seen up in the clear blue skies – above Beijing where people in the Chinese capital are breathing some of the cleanest air in a decade. The growth of China's economy has reached its lowest point in nearly three decades - and it might continue to slide. Is China's four-decade miracle coming to an end? Will the problems like rising labor cost and soaring debt make China bust? To answer those questions, CGTN will launch a special series Reshaping China’s Economy to have a closer look at the country’s economic future. CGTN reporter Ge Yunfei traveled across the country to study the actual situation on the ground. 5G technology could lead to revolutions and evolutions we may not be able to imagine. But it faces a challenge, not from the users, but the builders of 5G. Globalization has morphed into a web, a network of values. We no longer trade with goods, we trade with values. But there is a problem with the network: it is tilted. Asia, the most vibrant economy in the world. But what is behind the fast growth? Asia possesses the most vibrant economy in the world, but what is behind the fast growth? The coming 2019 Boao Forum for Asia (BFA) has once again put Hainan, the southernmost island province of China, in the spotlight. For Li Bo, fighting pollution is a life-long job. Huang comes from a returned Indonesian Chinese family; he was born in China's southernmost island province of Hainan and sees himself as a Hainan native. China is experiencing rapid growth in industrialization and urbanization, and one of the significant drivers for its development is the characteristic towns. The construction of characteristic towns aims to turn small rural areas into places that integrate industrial production, tourism and residence by preserving their own characteristics. Business leaders from industries ranging from home appliance, food, and movie all see continuous consumption upgrading trend in China, according to a panel discussion on consumption on Thursday during Boao Forum for Asia. From facial recognition systems at entrances to smart simultaneous interpretations during each panel, artificial intelligence (AI) can be found in almost every corner of this year's Boao Forum for Asia. China should avoid abrupt changes to its monetary policy if it wants to guard itself against the economic problems faced by Japan in the 1990s and 2000s, Kent Calder, director of the Reischauer Center for East Asian Studies at John Hopkins University told CGTN during the Boao Forum for Asia. With the Foreign Investment Law's legislation during the Two Sessions, more significant new opportunities towards China's market-oriented economy will follow. The Chinese government is unwavering in its support for reform and opening-up, according to announcements made by Premier Li Keqiang at this year's Boao Forum. Multilateralism has topped the agenda at the ongoing Boao Forum for Asia Annual Conference, even though the decades-old global governance system has faced many challenges, especially unilateralism, in recent years. It is high time for China and the U.S. to prioritize their high aims instead of trifles. The persistent efforts in a sweeping fourth industrial revolution and intra-Asian trade integration will provide an enormous push towards a prosperous Asia. Will driverless taxis hit the roads in 2019? Will driverless taxis hit the roads this year? We have been talking about it for years. The answer is yes and no. Everyone has their own opinions on AI, but there's one thing they may all agree: AI is not only a tech trend, it is also a new era, and we are in the midst of significant transformation. Multilateralism shall have its say in this year's Boao Forum. Chinese Vice Premier Liu He traveled to Washington on Monday for another round of high-level talks. The vice premier met with U.S. Trade Representative Robert Lighthizer and Treasury Secretary Steven Mnuchin last week in Beijing, where progress was said to have been made. The world has become a different place where people aspire to be better. Let's hope that this time around, we are all smarter students of history, and do not lose China – with all its opportunities and visions – again. Ban Ki-moon said a positive outcome of the negotiations would be a welcome relief not only for the two sides but for the rest of the world as well. The regulatory changes can assist the macroeconomic adjustment and time is needed for the financial sectors to repair the balance sheet. For this year's Boao Forum for Asia, CGTN has designed a special series called the "Boao Guide". It offers a daily preview of the highlights of various sessions. Here's CGTN reporter Zou Yun with a sneak peek at the hot button issues set for day four, the last day of the forum. For this year’s Boao Forum for Asia, CGTN has designed a special series called the “Boao Guide." It gives you a daily preview of the highlights from various sessions. Here's CGTN reporter Zou Yun, with a sneak peek at the hot button issues set for day three of the forum. For this year's Boao Forum for Asia, CGTN has designed a special series called the "Boao Guide." It gives you a daily preview of the highlights of various sessions. Here's CGTN reporter Zou Yun, with a sneak peek at the hot button issues set for day two of the forum. For this year’s Boao Forum for Asia, CGTN has designed a special series called “Boao Guide", which gives you a daily preview of the highlights of various sessions. Here’s CGTN reporter Zou Yun, with a sneak peak at the hot button issues set for day one of the forum. WeRide CEO: In terms of autonomous driving, China is only behind U.S.
With Chinese tech giants Baidu, Alibaba and Tencent entering the battlefield, China has been gaining momentum in terms of autonomous driving technology. China's ongoing urbanization process has brought opportunities for many young migrant workers. But it also means losses on the side of rural areas. Chinese Premier Li Keqiang delivered a speech at the opening plenary session of the annual Boao Forum for Asia, saying China will continue its reform and opening-up. CGTN’s Zou Yue invited two experts, Wang Huiyao and Jamie Allen, to discuss the challenges domestic enterprises are facing in the deepening opening-up and how China's new Foreign Investment Law will help push forward reform. Chinese Premier Li Keqiang says the government is confident and it can counter downward economic pressure when delivering a speech at the opening plenary session of this year's Boao Forum. CGTN’s Zou Yue has invited two experts, Wang Huiyao, president of the Center for China and Globalization, and Jamie Allen, secretary general of the Asian Corporate Governance Association, to share their views on how the government plays its due role to stabilize the market. As the Chinese economy is facing mounting downward pressure, both domestic and international investors are more cautious when making investment decisions. A classic question frequently asked is: Should I invest in real estate or stocks? A world where everything talks -- we know it is big, but we don't know how big it will be. This is the moment of 5G, super-fast communication. 5G will make the world tighter and could change communication, manufacturing, healthcare and even energy. But 5G becoming the nervous system of a brave new world is exciting and challenging at the same time. CGTN's Zou Yue shares his view on the future of this new technology. Chinese Premier Li Keqiang said at the Boao Forum for Asia 2019's opening session that since President Xi Jinping announced new measures for China's opening-up and reform, the country has made moves to widen market access, improve the business environment, expand imports, as well as enhance IPR protection. At this year's Boao Forum for Asia (BFA), economists and business leaders from all over the world will closely follow China's efforts and progresses in the reform of its economic structure. CGTN went to China's northeast, once the powerhouse of the country's all-powerful state economy, to find out if the structural reforms paid off amid the region's economic revitalization. Coconut trees, shiny beaches, and the world-famous Hainannese Chicken Rice (which I was told didn't even originate in Hainan, oh well...). Into the third day of my adventure at Boao, I still haven't experienced any of the three beautiful things above. Day one of the 2019 Boao Forum kicked off with Common Development for Asia in mind. But the first round of discussion after the release of four major reports this morning was one on the global economy. Both the World Bank and the International Monetary Fund have lowered global growth forecasts for the next two years. What do the experts say? Annual reports from the Boao Forum for Asia say that Asia remains competitive in creativity, tech innovation and economic openness. Some are concerned whether Asia can keep its competitiveness in face of global volatility, but Leslie Maasdorp, vice president of the BRICS New Development Bank is bullish on the momentum of Asian economies. This week I flew from chilly Shanghai to the steamy warmth of Boao Town in south China's island province of Hainan. I am no stranger to these tropical surroundings as I had covered the Boao Forum for Asia (BFA) twice already. Whether you know it or not, you may make your next online purchase via a cross-border E-commerce platform. The niche market has taken off so fast in China that it will be one of the hottest topics at this year's Boao forum. The fast development of internet technology and logistics services has boosted consumption and helped many small manufacturers go global. China has remained as the ninth competitive economy in Asia for the sixth consecutive year, according to a Boao Forum for Asia (BFA) report released on Tuesday. From being a voice assistant on smartphones to guiding robots at malls, artificial intelligence (AI) has been gradually penetrating our daily lives. One of the keywords for this year's Boao Forum for Asia is 5G. The Boao Forum for Asia will kick off on March 26 in Boao, south China’s Hainan Province. CGTN’s news anchors and reporters will bring you all the latest news in their special coverage from Boao. Chinese Premier Li Keqiang will attend the opening ceremony of the Boao Forum for Asia (BFA) annual conference and deliver a keynote speech on March 28 in the southern province of Hainan, Foreign Ministry spokesperson Geng Shuang announced on March 22. Can China handle its aging population? It is estimated that about a third of China's population will be over 60 by 2050, according to China's National Working Committee on Aging, and the costs for elderly care are expected to hit 25 percent of the country's GDP, up significantly from seven percent last year. Can AI robots beat humans at physical sports in 2019? AI robots have beaten humans in intellectual games like chess and Go (known as weiqi in China), as we have witnessed the performance of Deep Blue and AlphaGo. The annual conference of the Boao Forum for Asia (BFA) in 2019 is scheduled for March 26-29 in Boao, a coastal town in China's southern island province of Hainan. The theme of BFA this year will be "Shared Future, Concerted Action, Common Development." China will expand opening-up in fields such as international shipping, tourism and professional services in Hainan as the southern Chinese island is building a pilot free trade zone (FTZ). China's southern island province of Hainan will offer global talent senior positions to promote free trade zone (FTZ) construction, local authorities said. Live: What are the driving forces of Asian economies? Live: What to expect from the global economy?